London-listed Sirius Minerals (LON:SXX), the company building a $3.6 billion potash mine beneath a U.K. national park, said Thursday it has lined up contractors for key components of its North Yorkshire project . The company will use Associated Mining Construction UK (AMC), known for its expertise in shaft sinking for potash projects, for the design and building of the mine, as well as for site development works. The mine is set to generate an initial 10 million tonnes per year of polyhalite – a form of potash that is used in plant fertilizers. 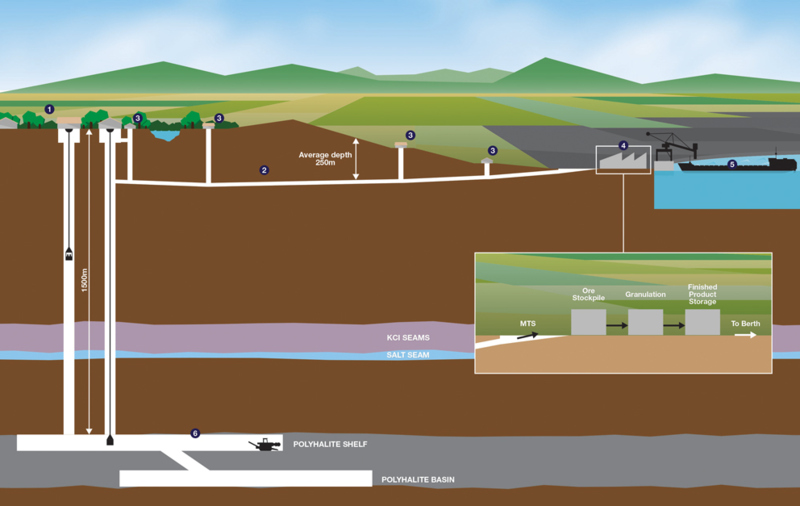 This will include all of the shaft construction at the mine site, Sirius said in the statement. In the past, AMC — a joint venture between Thyssen Group and Redpath Group — has worked with major potash producers such as Mosaic (NYSE:MOS) and Uralkali (LON:URALL). The company also appointed Hochtief Murphy Joint Venture for the construction of the mineral transport system, specifically the tunnel that will link the mine with the materials handing facility. Sirius’ mine, poised to be one of the world’s largest in terms of the amount of resources extracted, is set to generate an initial 10 million tonnes per year of polyhalite – a form of potash that is used in plant fertilizers –, before it enters a second phase that will double that production to 20 million tonnes a year. 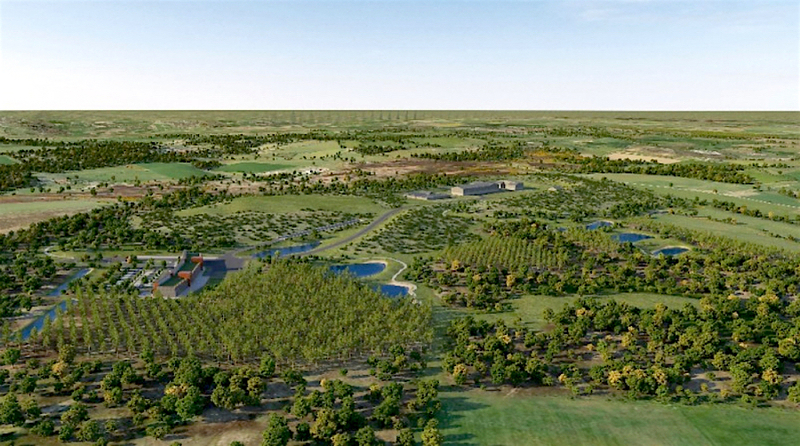 York Potash mine is expected to create about 1,800 jobs during construction and 1,000 permanent positions once opened. The project is being tackled in stages, and now that Sirius has selected its key contractors it said it will have a better idea about the initial costs of the project. Sirius had originally expected to begin production in late 2016, with initial output of 5 million tonnes per year and had signed a few future supply agreements. The current development schedule, however, points at 2018 as the most likely time for production to begin. Current potash market conditions don’t seem optimal for new players. The already oversupplied sector has seen several other major developments, the biggest being BHP Billiton’s (ASX:BHP) Jansen mine with its 5.3bn tonnes of measured resources and 1.3bn tonnes of inferred potash, going back to the drawing board. Potash prices are hovering around $240 a tonne, down from more than $800 a tonne in 2008. Demand and prices remain weak. Russia's Uralkali, the world's largest potash miner by volume, said in April it expected demand to fall to 58-60 million metric tons, down from 61 million tons in 2015. Meanwhile, prices for the fertilizer ingredient have fallen $58 per tonne to around $240 from $297 in March 2015, and are way below the $800 per tonne price of 2008. Producers such as BHP need prices as close as $500 per tonne as possible, so they can cover construction costs. However, other major players such as Canada’s Potash Corp (TSX, NYSE:POT) —the world's largest fertilizer company by capacity — are more positive. The Saskatchewan-based miner expects demand to rise from about 50 million tonnes per year in 2015 to about 70 million tonnes by 2020, as the world population and food demand continues to increase.